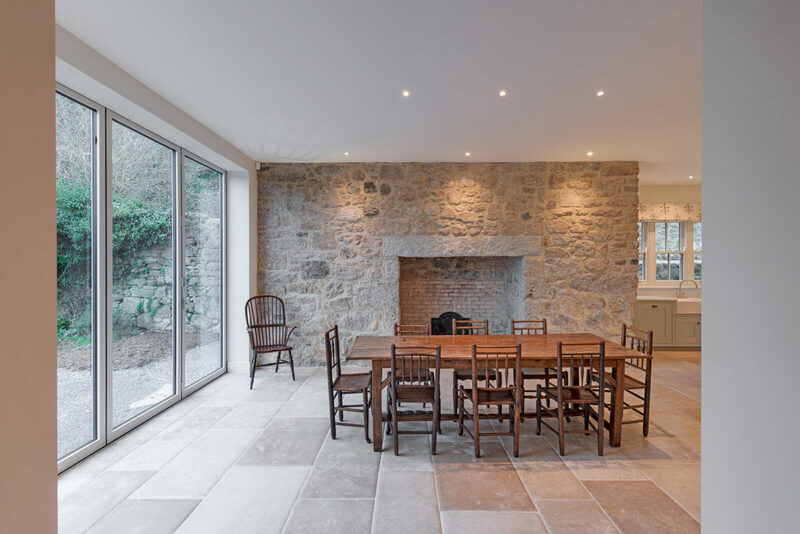 Our clients needed an architect in Moretonhampstead to provide them with a Full exterior and interior design service for their House refurbishment and extension..
Leign farm is an 80 acre farm set in a picturesque valley west of Moretonhampstead. 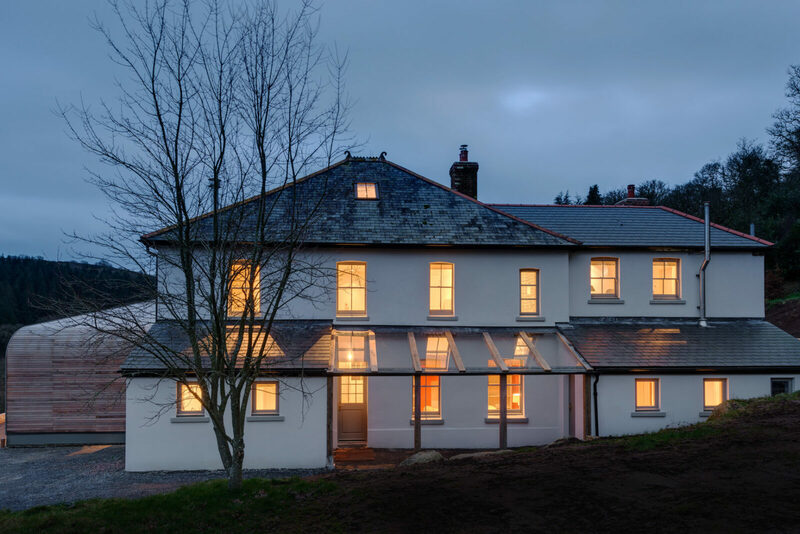 The historic Dartmoor farmhouse was largely rebuilt in the early 1900’s and commands panoramic views of the valley. 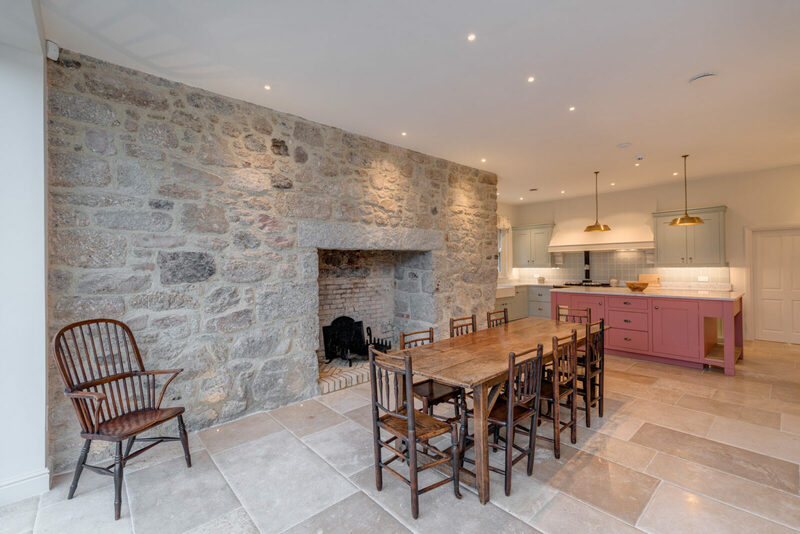 The farm group also contains five stone barns that date back to the 16th century. 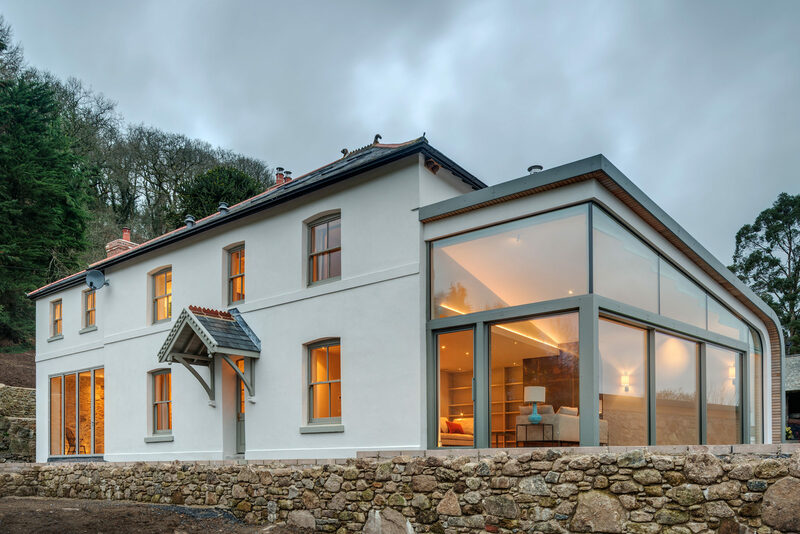 Van Ellen + Sheryn have extensive experience in upgrading country properties across Dartmoor and Devon. 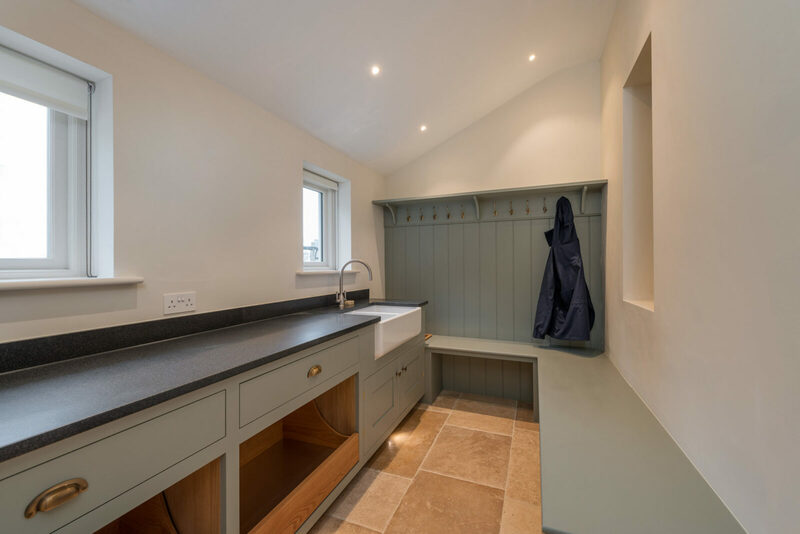 We were appointed to fully refurbish and extend the farmhouse, and breathe new life into the barns by converting them into additional living space. 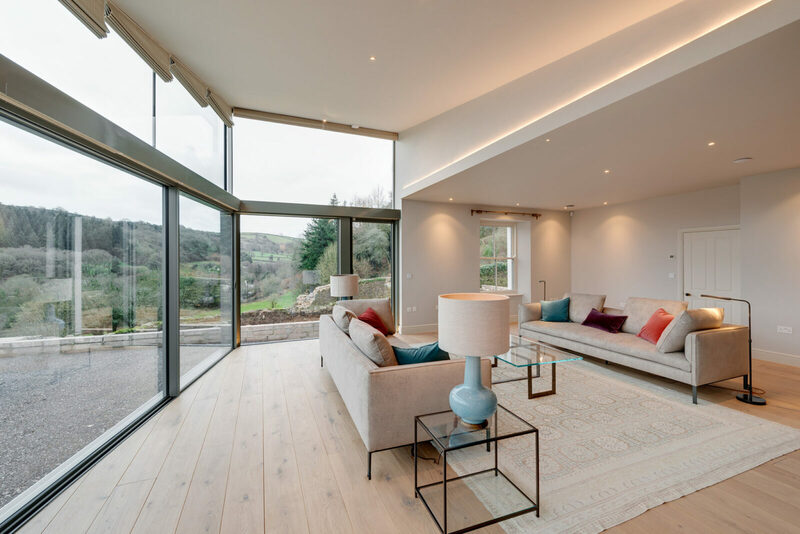 The existing house lacked a connection to the garden and moorland views beyond. The proposals reorganised the internal rooms into a more legible and spacious layout, with the two principle rooms forming wings either side of the entrance core. 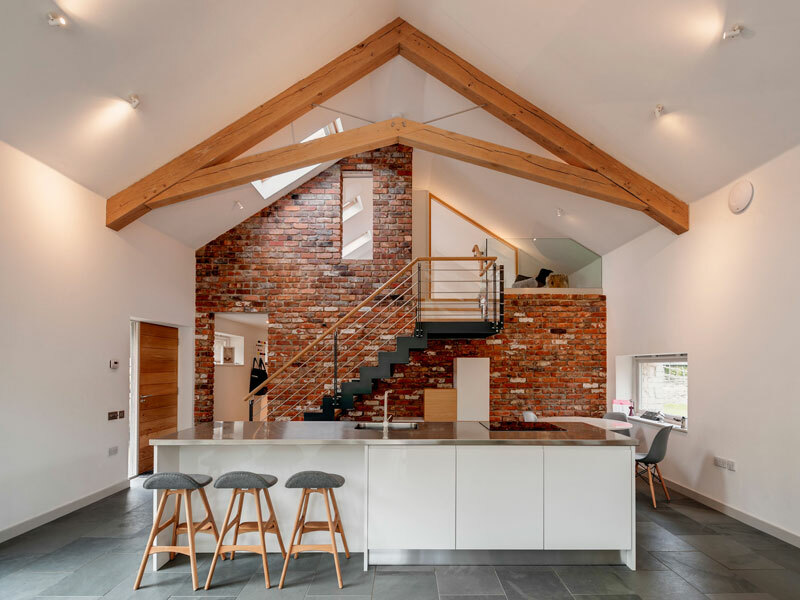 The kitchen and dining room are located within a newly built two-storey extension to the west. 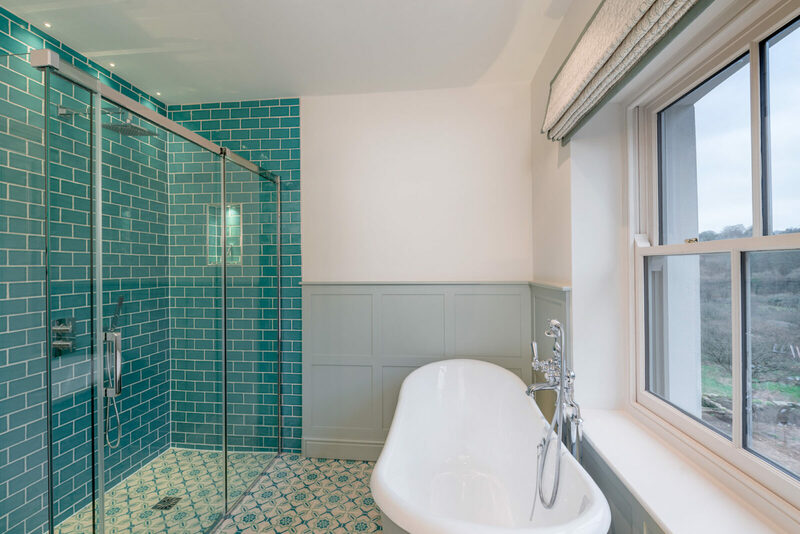 This is in a similar Victorian style to the main house. A huge 16th century inglenook fire provides a dramatic book-end to the house. 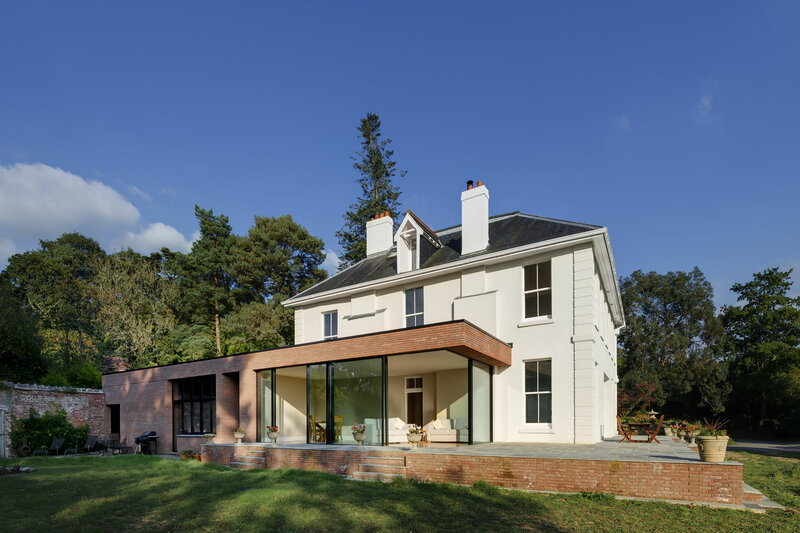 An oak-framed glass porch brings both wings of the house together on the north elevation, and provides a clear entrance point to the home. 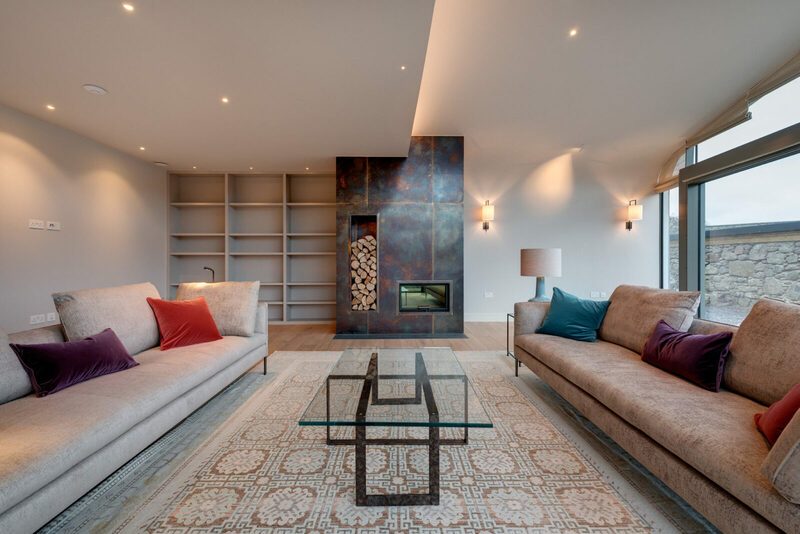 The living room to the east of the house is formed by a highly contemporary curved-wall-to-roof structure that wraps over a structural glass box. 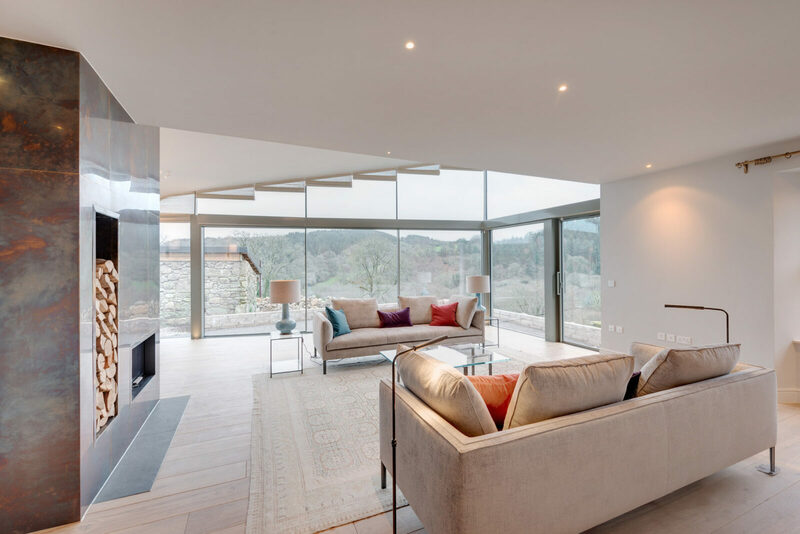 As a result, this light, modern room is a counterpoint to the rest of the house and gives panoramic views across the Dartmoor valley. 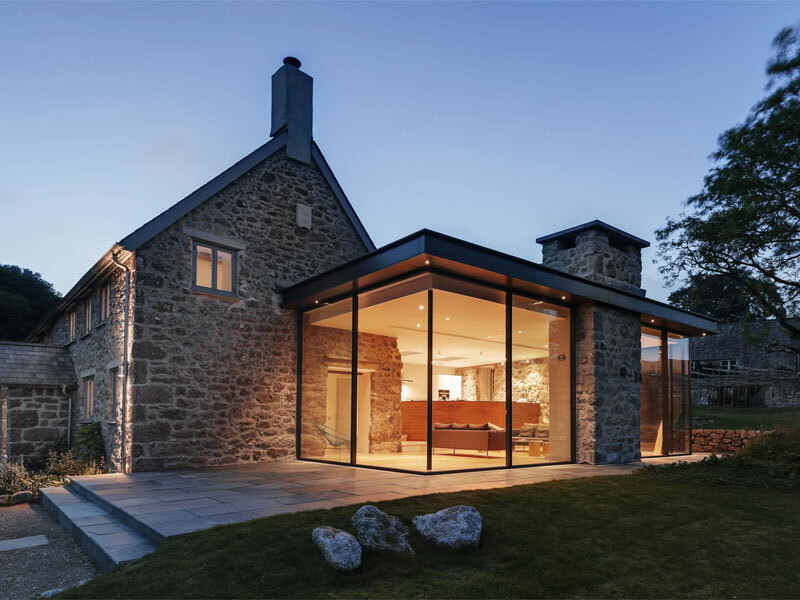 This wall-to-roof wrap is is perhaps the first of its kind in Dartmoor.A feature bronzed-brass fireplace sits at the junction between original room and extension. 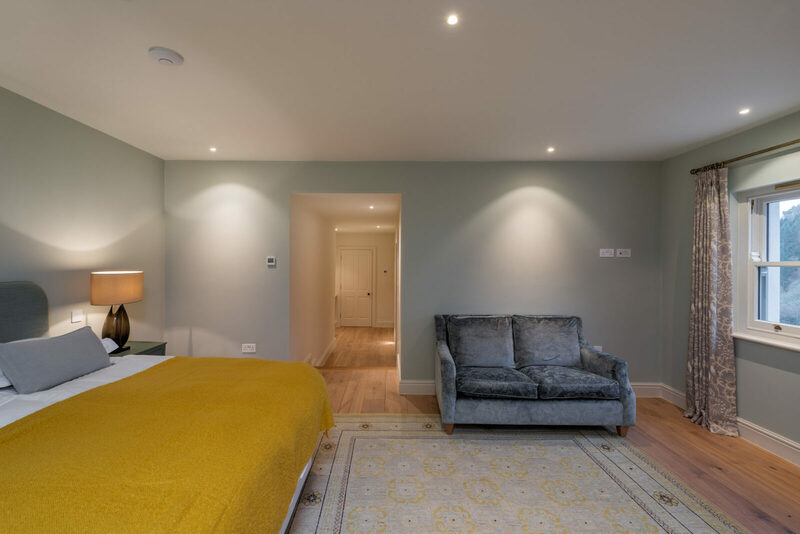 All bedrooms and bathrooms at first floor are finished in a boutique hotel style and compliment the main living spaces below. 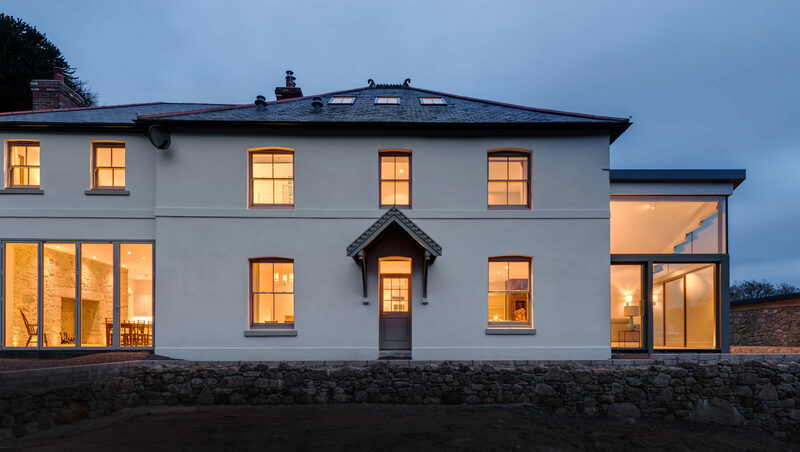 The farmhouse refurbishment and extension is now finished, with external landscaping and the surrounding barns to be completed in 2019. My husband and I are in the process of turning a damp-infested. 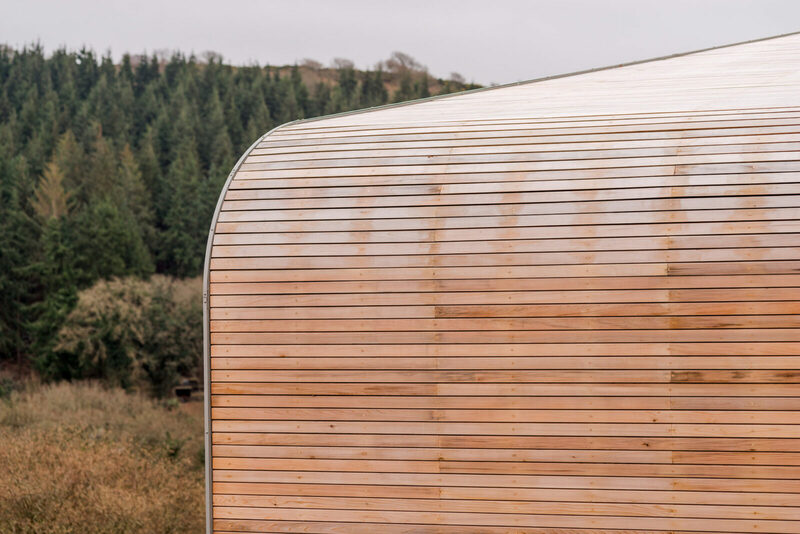 nastily converted barn from the 1980’s into what we hope will be a beautiful, architecturally interesting base in cornwall. We are ambitious for it but like most people, don’t have an endless pot of money. We are also completely new to anything like this. 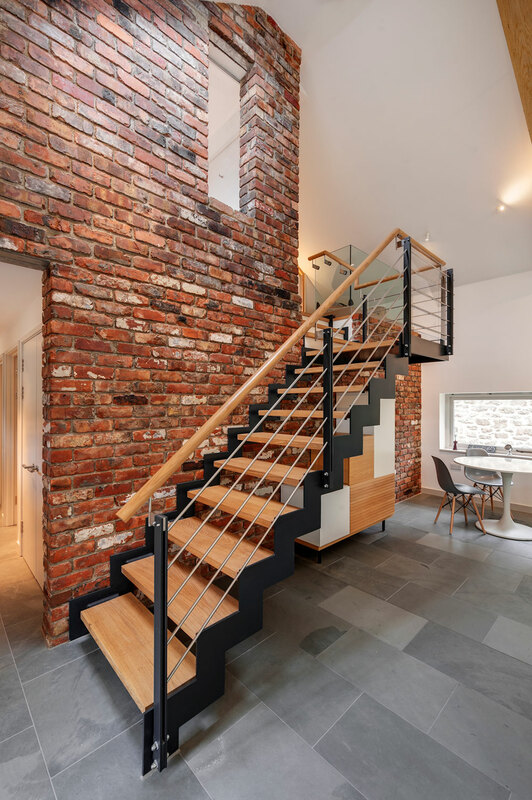 We’ve never even used an architect before. 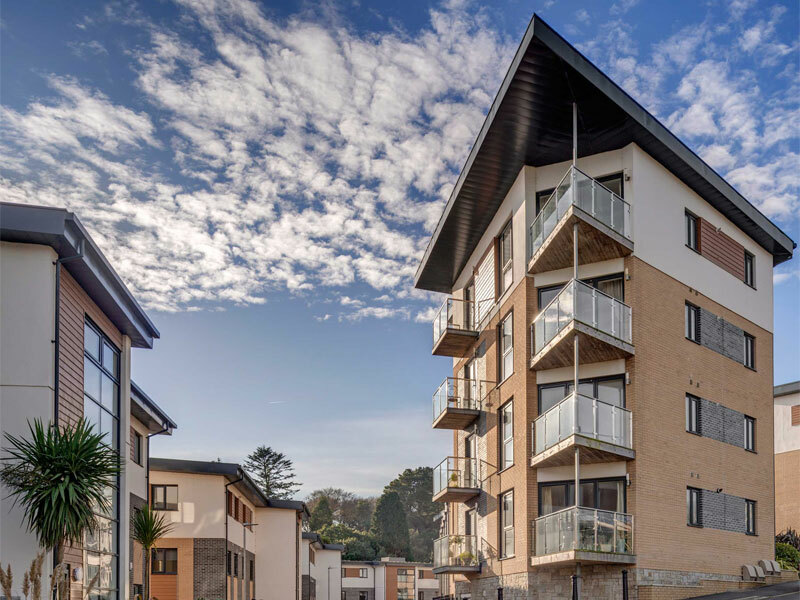 We met many, most of whom were based closer but it was perfectly obvious to both of us that Eilir and his team were the ones we wanted to use despite their practice being Devon, not Cornwall based. Logistically it’s not as sensible but in every other respect they far outclassed everyone else we met. We loved their work and felt our aesthetic was similar. Plus we felt we’d get on as people. And be able to lean on them when things got stressful as they inevitably will do! We are yet to begin the build but have done the design and got planning approval, undoubtedly thanks to Van Ellen & Sheryn. 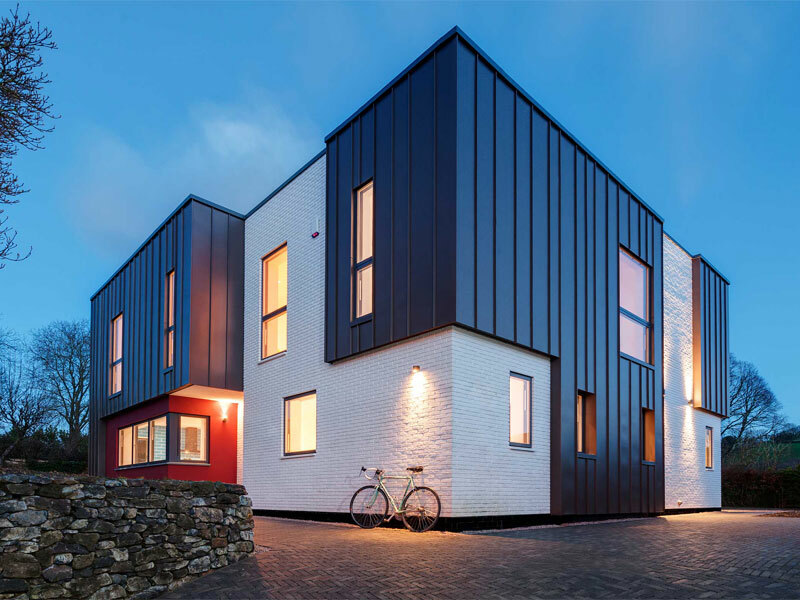 Eilir and David contributed so much to getting the design through planning, really working with the council to ensure it would get approval. 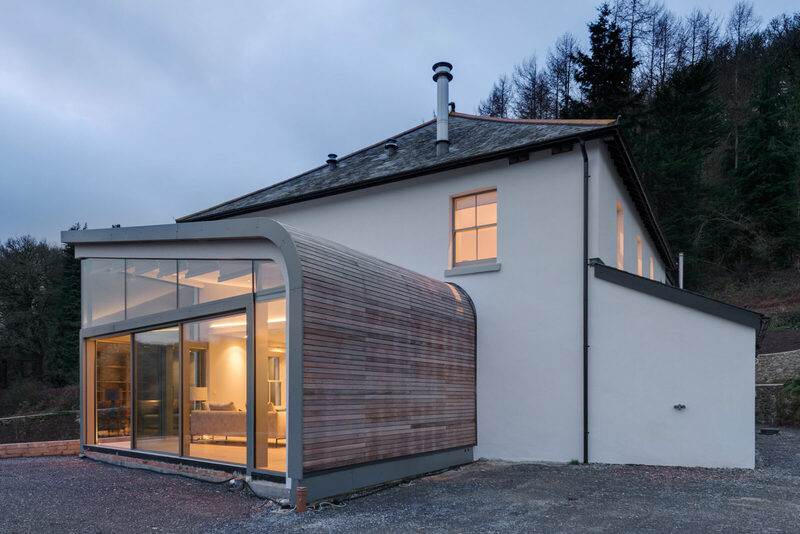 It is quite a brave design for a barn so we hadn’t expected it to be so smooth but Van Ellen & Sheryn managed to achieve our mutual ambition for the project, whilst at the same time satisfying any potential concerns the council might have. What is also hugely helpful is how promptly and thoroughly they respond to concerns or silly questions we might have. I feel I always have counsel when I need it, someone I can lean on, who I trust, for advice. We have expensive taste but not really the budget to back it up! Going into the next set of drawings, that is something that has worried us, but we have been able to lean on Van Ellen & Sheryn who are advising us on bringing the costs down on the build so they hit our budget. 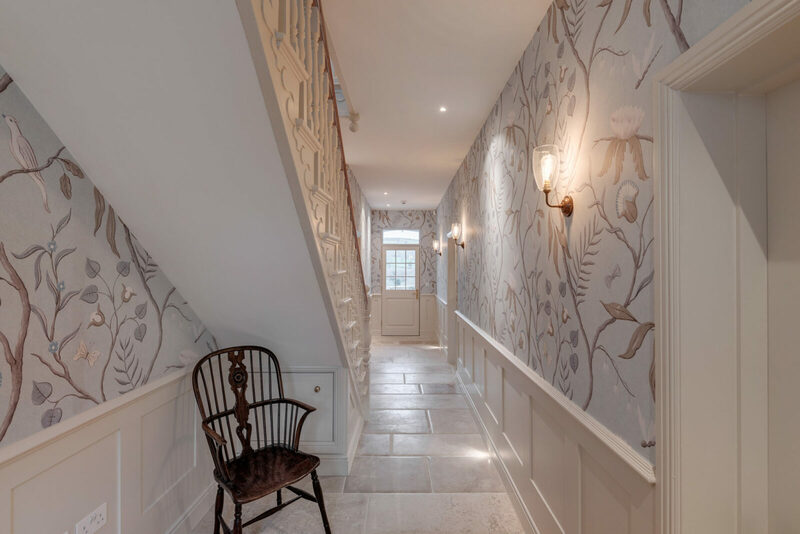 Beautiful, interesting, sympathetic design generated by lovely, talented people who have given us lots of time and attention when we ask for it. And they have great knowledge – and taste. From my experience so far, they are a class act.